Unique product for giving the paintwork extremely fast a brilliant shine. 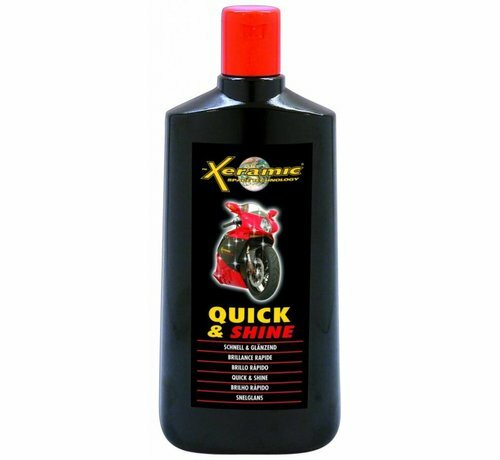 PM XERAMIC® QUICK & SHINE Unique product for giving the paintwork extremely fast a brilliant shine. Pour into a damp cloth spread thinly and evenly on the paint. Allow product to slightly haze and wipe off with a clean and soft cloth. 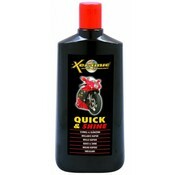 Avoid the use of this product on not painted parts and plastics! Suitable for all kinds of paint. Shake well before use. Weather-beaten paints ﬁrst treated with PM XERAMIC® Power Wax.